We Are Your MNWD Friendly Customer Service Providers. The Management: (From left to right) Admin./General Services, Materials and Supply Management Division Manager Jeremias P. Aban, Jr., Pipeline, Leakage Control and Non- Revenue Water Management Division Manager Roque S. Francisco, Human Resource Division Manager Ricardo B. Felix III, Finance Division Manager Emma A. Cuyo, General Manager Cesar H. Federizon, Customer Services Division Manager Virgina I. Nero, Water Production & Electro-Mechanical Division Manager Renato R. Dela Cuz, Planning, Design and Construction Division, Acting Division Manager Virgilio I. Luansing. From the Office of the General Manager. (L-R) Ms. Ma. Teresa Boroc, Ms. Maricel Alinarte, Ms. Maide Sison, GM Cesar Federizon, Mr. Eric O. Zantua and Ms. Adele Peñaflor. Administrative/General Services, Material & Supply Mgt. Division. 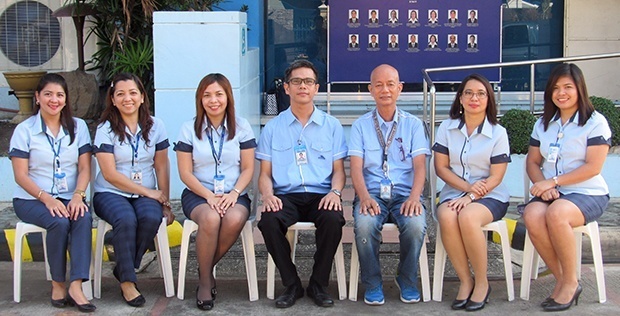 (L-R, seated) Mr. David Gumba, Jr., Mr. Jovito Hernandez, Ms. Marivic Lillo, Division Manager Jeremias P. Aban, Jr., the GM, Mr. Jon Louie Sanchez, Mr. Jose Ma. 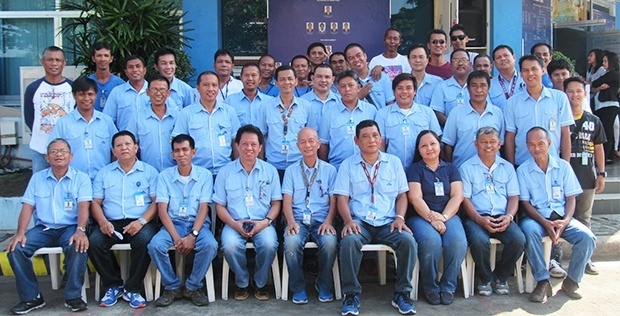 Basa, Mr. Gideon Israel Perez, Mr. Arbel Adorable; (L-R, 2nd row) Mr. Francis Apin, Mr. Romeo San Buenaventura, Mr. Leonardo Alarzar, Mr. Jerry Almoite, Mr. Ramon Iñigo, Mr. John Evangelista, Mr. Ramon Perez., and Mr. Doroteo Pujado, (3rd Row) Mr. Lorenzo Borja, Jr., and Mr. Roberto G. Azul. 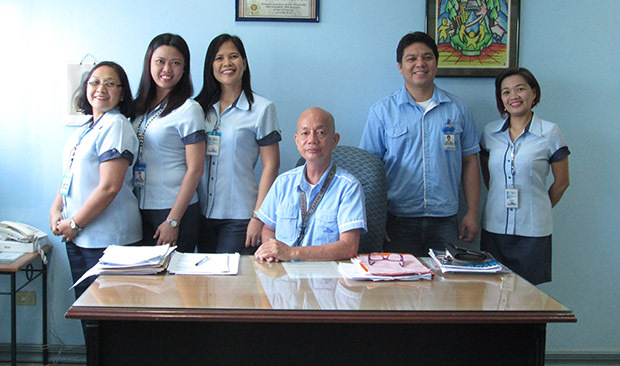 Commercial Services Division/Customer Accounts Division. (L-R seated) Ms. Anita Saballa, Ms. Adeline Gregorio, Ms. Ma. 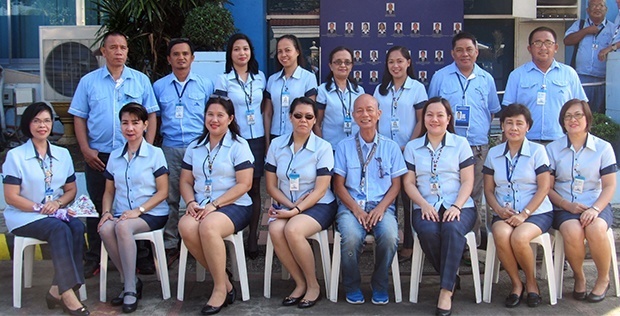 Andrina Vitalicio, Ms. Marilyn Ardevela, Mr. Rafael Sambo, Division Manager Virginia Nero, Ms. Dulce Genevieve Cayetano, Ms. Sarah Alvaro, Mr. Eduardo Patriarca, Ms. Loningning Papa, Mr. Alex Morales, (2nd row) Mr. Angelo Suzara, Mr. Romeo Babiera, Mr. Gavino Alfred Santos, Mr. Lean Eric Viñas, Mr. Rey Ocfemia, Mr. Nilo Mana and Mr. Teejay Altaire Tormes. Water Production and Electro-Mechanical Division. (Front row seated, L-R) Mr. Wenefredo Apin, Mr. Segundo Prado, Engr. Ronald Rada, Division Manager Renato Dela Cruz, the GM, Engr. 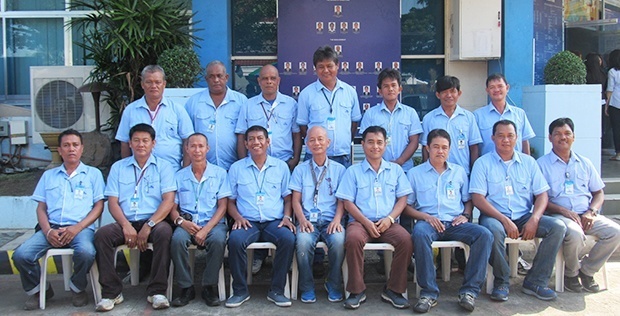 Edgar Credo, Ms. Zandra Gutierrez, Mr. Roberto Rosales, Edgardo Dela Rosa; (2nd Row) Mr. Pedro Encallado, Jr., Mr. Manuel Rubia, Mr. Reynaldo Francisco, Mr. Russel Lanuzo, Mr. Rodel Raquitico, Mr. Elmer Sumayao, Mr. Leonard Alimuin, Mr. Arturo Marco and Mr. Ricky Romero;(3rd Row) Mr. Angel Nator, Mr. Virgilio Morandarte, Mr. Guillermo Panizares, Mr. Dennis Asence, Mr. Dennes Bermudo, Mr. Sebastian Sandrino, Jr. and Mr. Ronald P. Sarmiento. Pipeline Leakage Control and Non- Revenue Water Management Division. 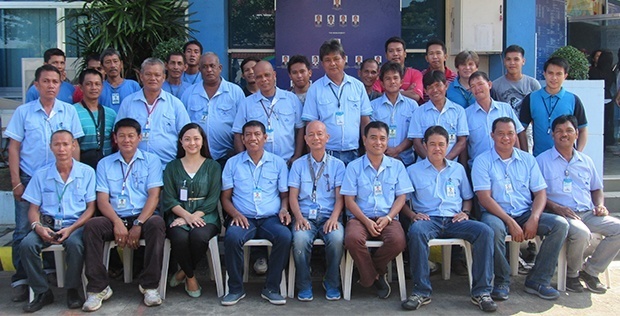 (L-R, seated) Mr. Victor Capistrano, Mr. Ariel Civico, Mr. Jaime Ardevela, Mr. Domingo Monit, the GM, Division Manager Roque Francisco, Mr. Edgardo Ayao, Mr. Bernardo Francisco, Mr. William Nuyda; (2nd Row) Mr. Arnulfo Ostonal, Mr. Ronie Napa, Mr. Victor Villare, Mr. Pedro Orobia, Mr. Arnel Sanduco, Mr. Anastacio Orante and Mr. Gilberto Pante. Accounting Division/Treasury and Budget Divison. 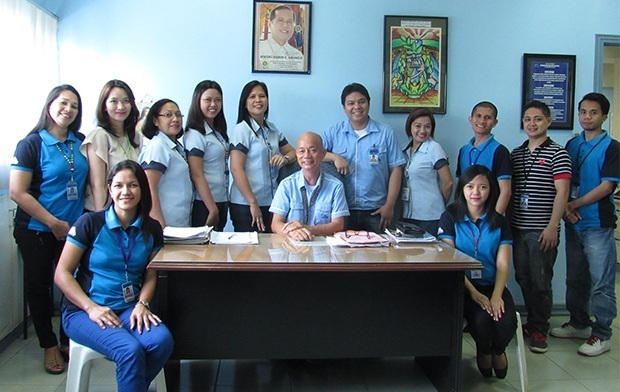 (L-R seated) Ms. Haide Reyes, Ms. Bella Baustista, Ms. Maria Cyril Caballero, Division Manager Emma Cuyo, the GM, Ms. Christina Carmona, Ms. Carmelita Velasco, Ms. Irma de Padua; (standing) Mr. Alfredo Villanea, Mr. Nemesio Candelaria, Ms. Cyrel Rapi, Ms. Merrylie Angeles, Ms. Cynthia Lourdes Alvarez, Ms. Anelle Apin, Mr. Linus Uvero, and Mr. Ricky Alvarez. Water Distribution and Restoration Division. (L-R seated) Mr. Rodel Racadag, Mr. Jose Ulanday, Mr. Nelson Meliton, OIC of WDRD Engr. Ulysses Follosco, the GM, Mr. Manuel Rivera, Mr. Jose Relleve, Mr. Vicente Prado, Mr.Saturnino Baloloy; (2nd row) Mr. Dalmacio Concan, Mr. Gabriel Balantes, Mr. Jesus Rifaco, Sr. and Mr. Domingo Naag, Jr.